The Loire Valley spanning 280 kilometres (170 mi), is located in the middle stretch of the Loire River in central France. Its area comprises about 800 square kilometres (310 sq mi). It is referred to as the Cradle of the French Language, and the Garden of France due to the abundance of vineyards, fruit orchards (such as cherries), and artichoke and asparagus fields, which line the banks of the river. Notable for its historic towns, architecture and wines, the valley has been inhabited since the Middle Palaeolithic period. In 2000, UNESCO added the central part of the Loire River valley to its list of World Heritage Sites. The architectural heritage in the valley's historic towns is notable, especially its châteaux, such as the Château d'Amboise, Château de Chambord, Château de Chinon, Château du Rivau, Château d'Ussé, Château de Villandry and Chenonceau. 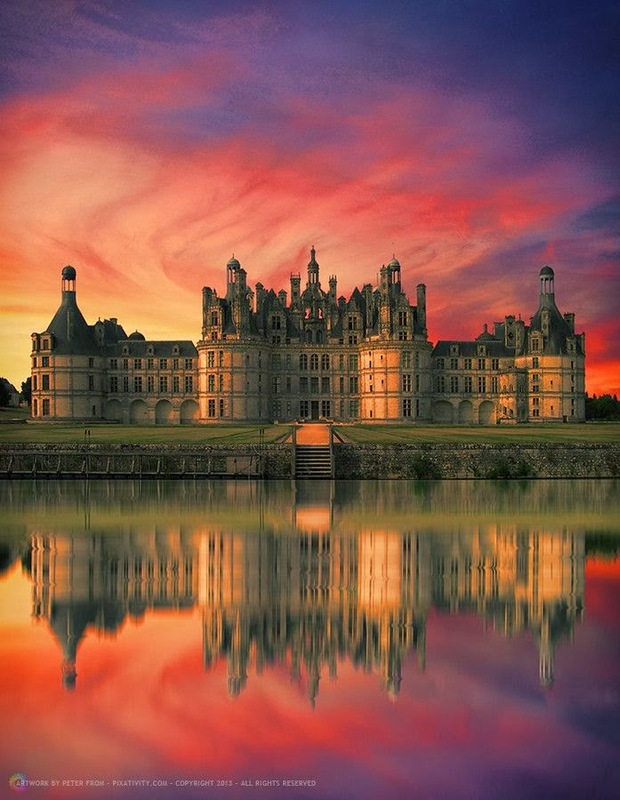 The châteaux, numbering more than three hundred, represent a nation of builders starting with the necessary castle fortifications in the 10th century to the splendor of those built half a millennium later. When the French kings began constructing their huge châteaux here, the nobility, not wanting or even daring to be far from the seat of power, followed suit. Their presence in the lush, fertile valley began attracting the very best landscape designers. In addition to its many châteaux, the cultural monuments illustrate to an exceptional degree the ideals of the Renaissance and the Age of the Enlightenment on western European thought and design.